FAI employees were thanked for their work and warned to expect a 'lot of attention' in a memo sent to staff ahead of yesterday's release of their advance statements to the Oireachtas Committee that is preparing to welcome an FAI delegation tomorrow. President Donal Conway and interim CEO Rea Walshe told staff to direct any queries they received to the communications department of the association. It's understood that the mood in Abbotstown has been soured by the boardroom saga which is casting a shadow over Irish football. Conway's opening statement to the Oireachtas and correspondence with Sport Ireland admitted that the FAI could have handled things better in the weeks since ex-CEO John Delaney's €100,000 bridging loan to his employer in 2017 became national news. 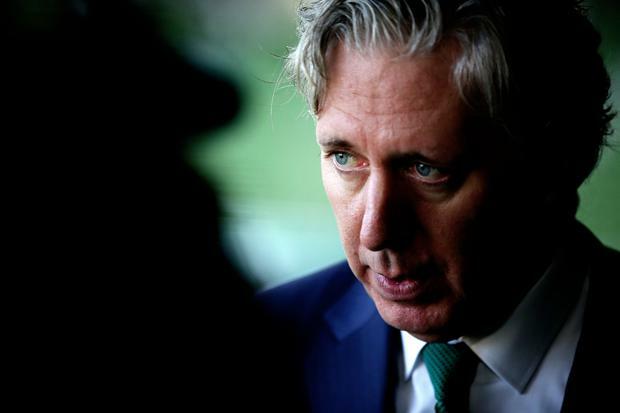 In Monday's statements, the FAI's President said that recent comments from the FAI may not have 'accurately' reflected the Board's awareness of the €100,000 issue, a revelation that has added another layer of intrigue to Dail date. "You can be rightly proud of the efforts you undertake on behalf of Irish football every day and it is important to remember that at times like these." Employees were then told to expect more headlines across the day once the Oireachtas Committee and Sport Ireland received their letters. "Please feel free if you are contacted by any media organisations to direct them towards our communications team if you so desire," they said. "In the meantime again, thank you for your hard work and for your continued support. "Best Regards, Donal Conway and Rea Walshe." Conway and Walshe will be part of the FAI delegation that joins new Executive Vice President Delaney in government buildings tomorrow. Q&A: What's happened since revelation about FAI emerged on St Patrick's Day?